It's been said more times than this glitch reporter could count, but a net-centric military must make certain assumptions about what services are of status "always-on." GPS is one of those. But apparently, according to an AP report, "as many as 10,000 U.S. military GPS receivers were rendered useless for days. 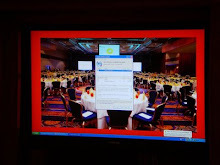 . ."
The problem was blamed on "incompatible software." According to the report, an Air Force defense contractor installed software in certain Trimble Navigation receivers that was incompatible with other elements of the system -- a ground control system that received an update in January 2010. The update was part of a new generation of GPS satellites ("Block IIF). A more IT-savvy writer might have referred to this as a configuration management failure, but at least the AP kept after the Air Force to provide a narrative for the problem. The AP story concludes with a discussion of cybersecurity risks to the GPS software. While the discussion covers jamming and straightforward outages, the risks of insider threat are not fully explored. 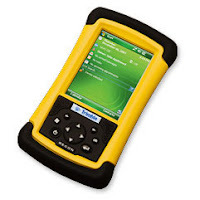 (Note: The Trimble "recon" handheld shown is illustrative of the company's products -- not necessarily the one involved in this glitch report).